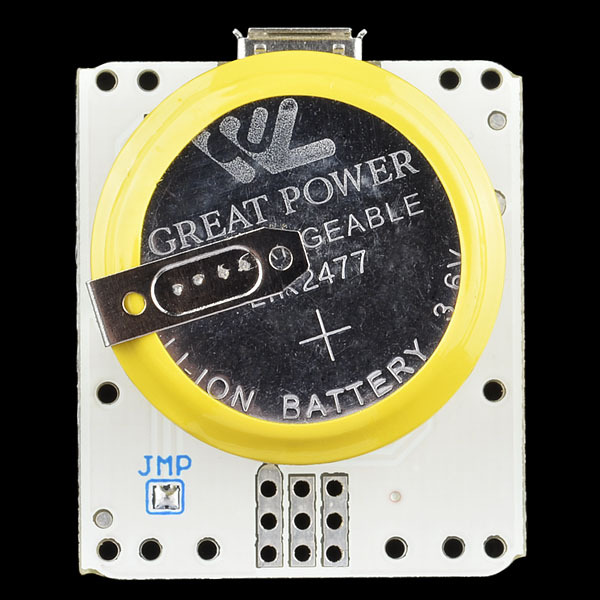 Replacement:DEV-11258. This coin cell brick has a new revision go check it out! This page is for reference only. 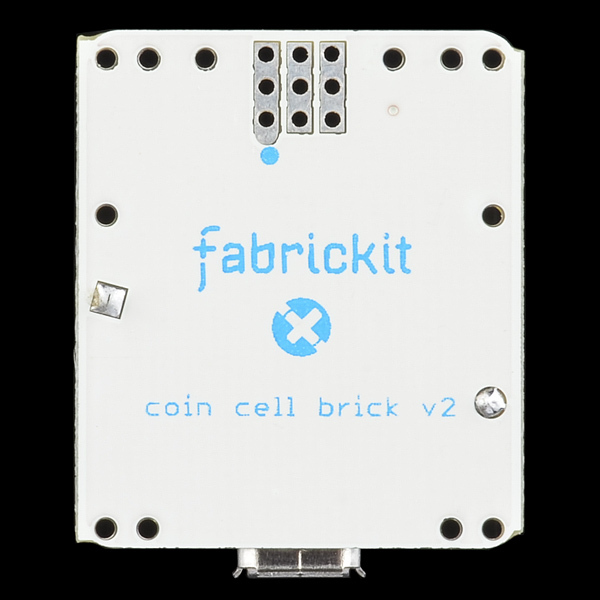 The fabrickit Coin Cell Brick employs a rechargeable coin cell battery to provide 5 volts and up to 50mA of current to your fabrickit project. The battery can be easily recharged without being removed by simply connecting it to any USB port with a micro-USB cable (not included, see below). Use this in conjunction with other fabrickit products, listed below. 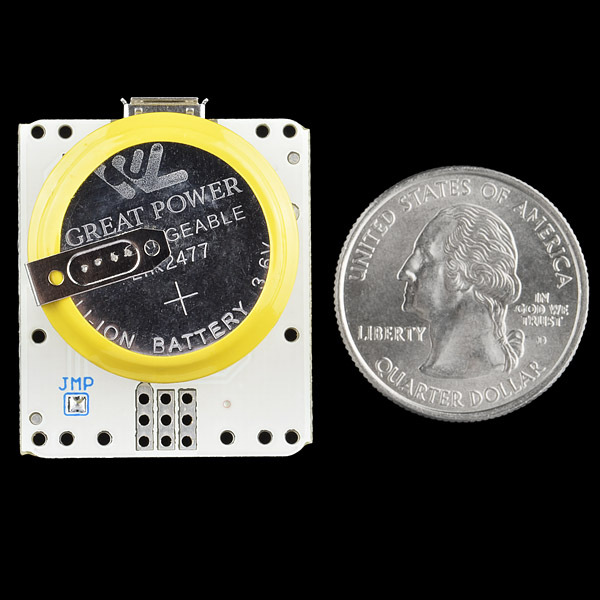 Keep in mind that the Coin Cell Brick does not have a power switch. 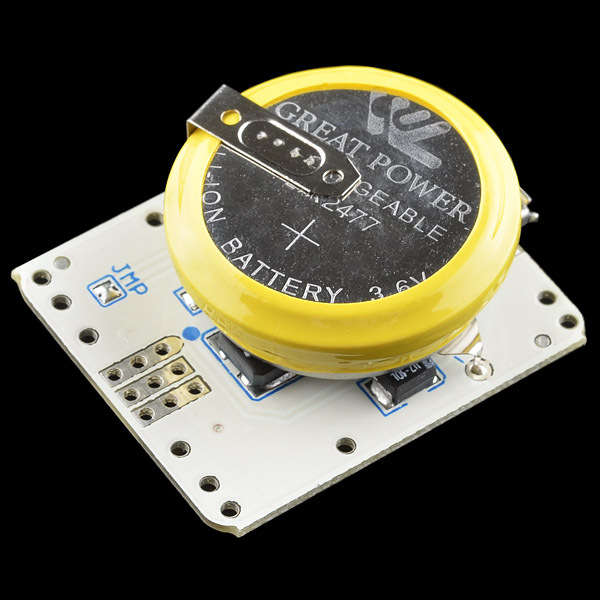 You will want to use the Snap Bricks as power connectors so you can simply 'snap' power on and off. 1.07 x 1.2 x 0.4"
Anyone else have trouble with these holding a charge?